Q&A: What Are Farmers Doing to Support Wildlife? If you hunt—or if you know a hunter—you’ve probably heard the good news about this year’s pheasant population. 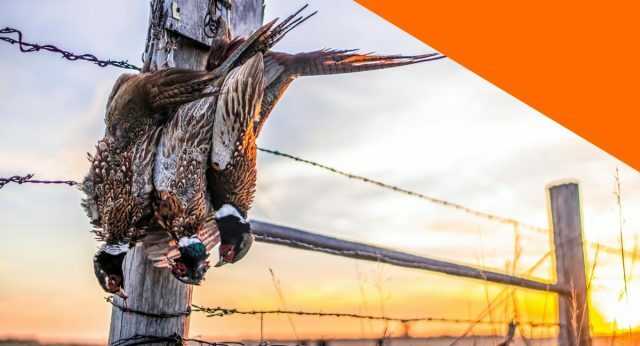 According to the 2018 pheasant brood survey conducted by South Dakota Game, Fish and Parks, there’s 47 percent increase over last year’s population. In nature, wildlife populations change from year to year for a variety of reasons, including weather, predators and the availability of shelter, food and water. How are farmers in South Dakota helping support wildlife? We visited with Paul Hetland, who farms near Mount Vernon, S.D., and Steve Weerts, a farmer in Kingsbury County, S.D., to find out what they’re doing. Q: Do you have certain areas on your farm set aside for habitat? Steve: We’ve got certain fields where within just a few acres you’ll have low ground that is super wet and the hilltops that are sandy. There’s no point in breaking that up just for a few acres of corn or soybeans. It’s best to have it grass and the soil will be much healthier and the wildlife in the area will appreciate it as well. Paul: We’ve been making a conscious effort to use our acres for the best fit, so if wildlife makes sense, then we’ll use it for wildlife, and if row crops make the most sense, we’ll use it for that. We do have tracts where we farm 100 percent of the land because it’s very productive ground. We have other land where, in some cases, 40 percent or 50 percent is left seeded to grass or trees or something that would benefit wildlife because it makes more sense for habitat. We have been trying over the last 10 years to plant tree belts in areas that would be appropriate for protection for wildlife. We do try and set up areas where we have food, water, grass and winter cover all in the same place so that wildlife don’t have to move in and out of the area. Q: Do any of your farming practices help support wildlife? Paul: We do have some plots that move around with our rotations. We will utilize growing crops, depending on where they fall for the particular year. We do have year-round habitat as well that is always there for the wildlife. We try to use a combination of those based on the experiences that we’ve had, and that works fairly well. We control noxious weeds, we plant food, we make sure there’s adequate cover for winter. We try and do it in areas where there is year-round water. We probably put as much or more work into those acres as we do into our corn and soybeans. Steve: I’m not afraid to put plantable acres into grass. We’ve actually created more grass for calving pastures right now, which is a wonderful habitat for pheasants and deer. We’re enrolled in a Conservation Reserve Program (CRP) and we’ve done the Conservation Stewardship Program (CSP) as well. We try to do what we can to make sure it’s best for the environment. Q: Is it important to you to support habitat and wildlife? Steve: I come from a long line of hunters and we definitely enjoy it. Our friends come every year, and we’ll pheasant hunt and deer hunt. We’ve seen an increase in the wildlife. I guess it says a lot for what we’re doing for the environment when you can say that things are as good, if not better, than when we started. Paul: Wildlife is a big part of the inheritance that we received and that we’ll pass along, and I feel like it fits very well with production agriculture as what we’ll leave behind as a legacy. If you have questions about how farmers support habitat, contact South Dakota Corn at (605) 334-0100. 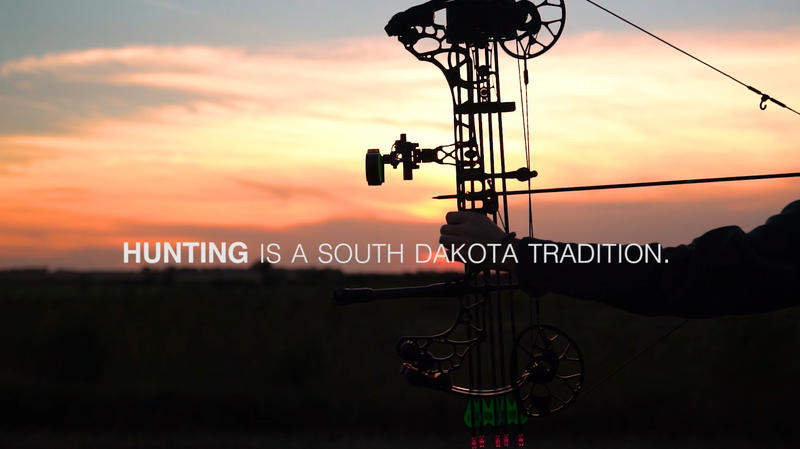 South Dakota farmers are conservationists. Planting food plots for pheasant, deer and other game wildlife. Using shelterbelts to naturally protect crops, livestock or homes — and create significant wildlife habitat at the same time. Working with researchers to help protect habitat from farm production, livestock and machinery. Taking part in the federal Conservation Reserve Program (CRP) that pays farmers rent in exchange for land set aside for wildlife habitat or left unused near waterways. 96% of farmers are in compliance with conservation practices. 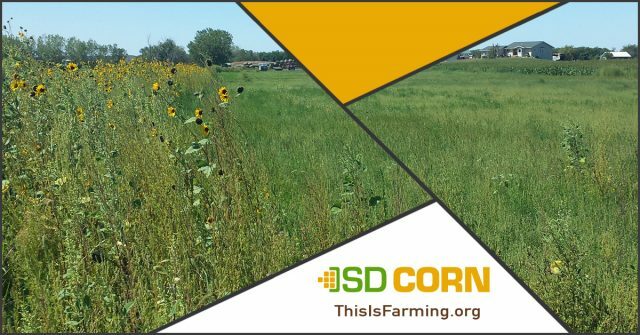 South Dakota Corn Growers believes in conservation compliance. We continue to educate and encourage our members about conservation practices we can apply to protect soil, wetlands and wildlife.